I dont want to go all romantic on you all, but the beauty of the Forest of Dean never ceases to amaze me! I went for a walk down to Lydney docks yesterday evening with a friend. The sun was shining, which always helps, but even in the depths of winter its a wonderful place. Anyway we were sat chatting on a bench by the side of the River Severn, just chewing the cud like you do enjoying the stillness. We heard a flock of geese noisely honking as they flew in from our right. There must have been about forty I suppose and all flying single file in a straight line. I thought they were coming down to land on the water as it looked like their little legs were running but the funny thing was they just continued up the length of the river as far as we could see, running about 30cm above the top of the water. A most amusing sight. Now if I had one of these new fan dangled phones (rather than my trusty old £30 Nokia), I could have taken a photo for you, but thats another story! 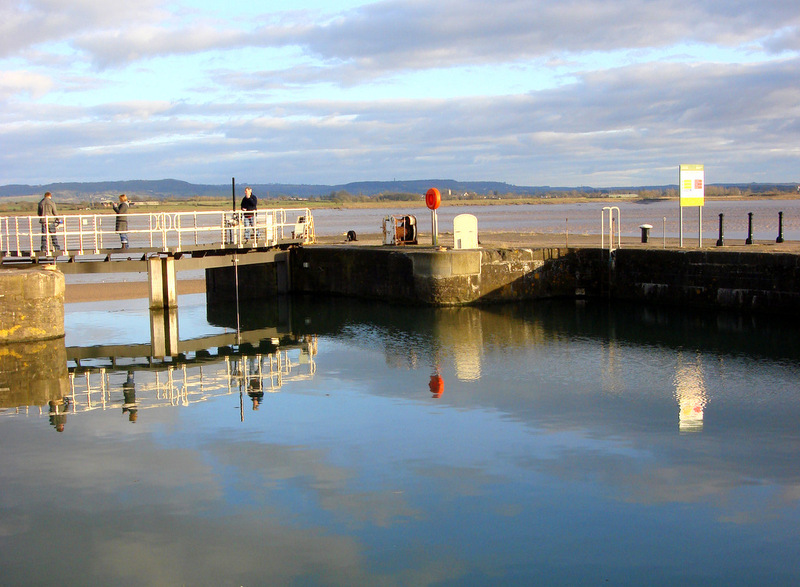 So Ive borrowed a photo for those of you who havent seen Lydney docks before.